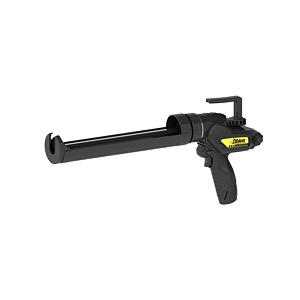 PRODUCT: Albion E12Q Cordless Lithium Battery Powered 1-Quart Cartridge Caulk Gun Kit. 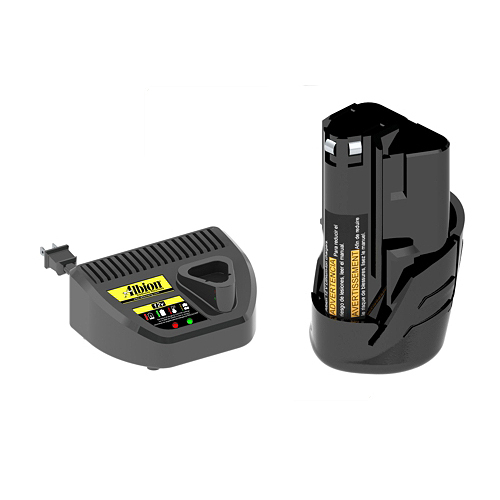 Includes #1004-3 12V 2A Lithium-Ion Battery, # 1004-4 Quick-Charger, Joist Follower. New Lightweight and Long-Lasting Power Design. Price/Kit. No air shipment, UPS Shipping Only. Buyers signature and photo-ID required for delivery. Model E12, 10 oz cartridge version. Model E12S20, 20 oz sausage version. Novalink SL Self Leveling Sealant, GRAY, 10.1 Oz Tube.